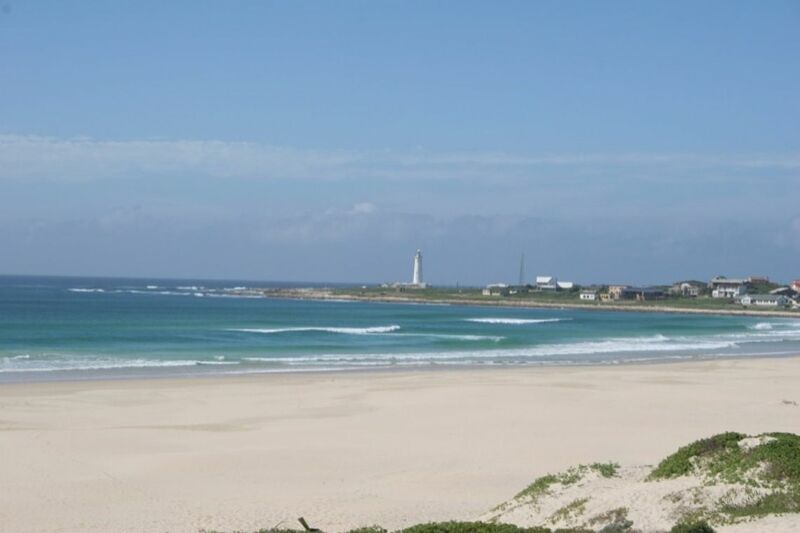 Cape St Francis with it's historic lighthouse and great surf spots is a tranquil eco-destination surrounded by nature reserves and the warm Indian ocean. 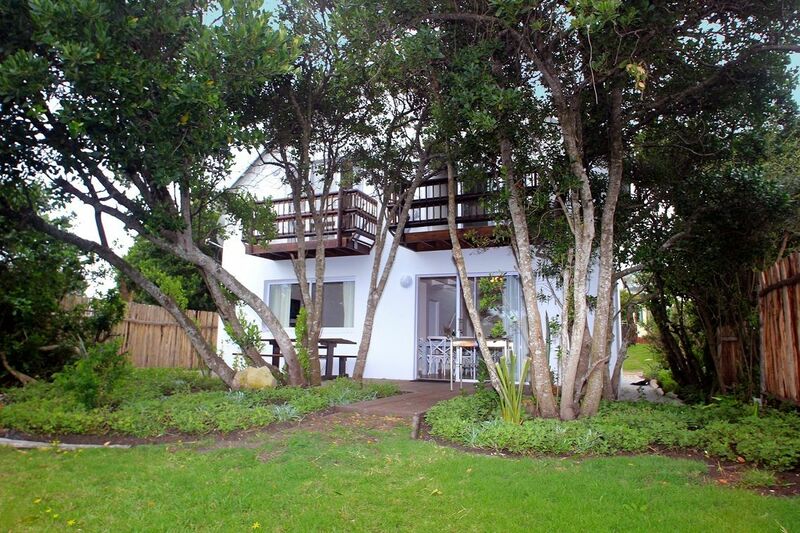 Cape St Francis Resort provides self catering accommodation from Luxury beach villas to upmarket beach cottages, affordable Apartments and Backpacker private rooms. All rooms, cottages and villas have adequate facilities to self cater. Hibiscus Center opened on 1 March 2013. They offer massages, manicures, pedicures, waxing and facials in a calm, peaceful environment at the Cape St Francis Resort. The St Francis area also offers numerous other sport activities such as sand boarding, kite surfing, water-skiing, beach horse rides, tennis, golf as well as a good supply of sun and sea. Other activities include whale or dolphin watching and hikes through coastal nature reserves. 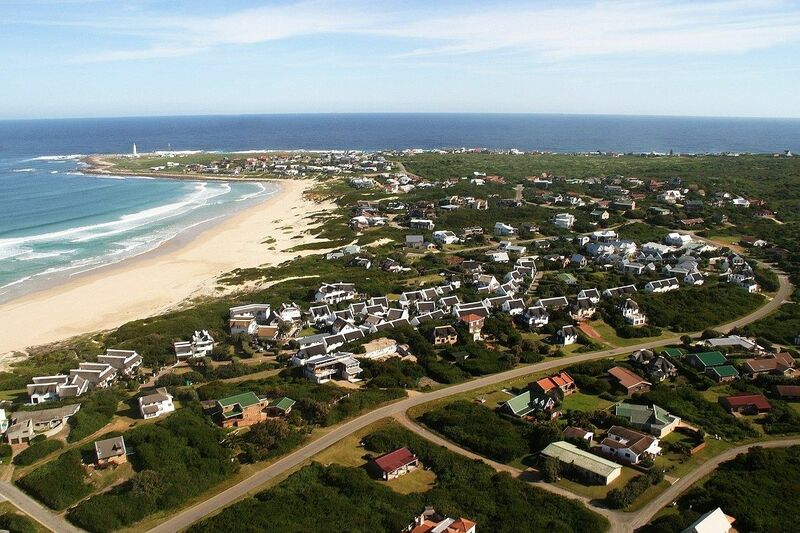 Luxury Five Star accommodation consisting of four separate villas set on the edge of the dunes, overlooking the pristine Cape St Francis beach between Seal Point and Shark Point Nature Reserves. In the heart of the Resort and nestled in the dunes you will find cottages built in the traditional Cape Dutch style and vary in size from two to five-bedrooms each with most bedrooms being en-suite. 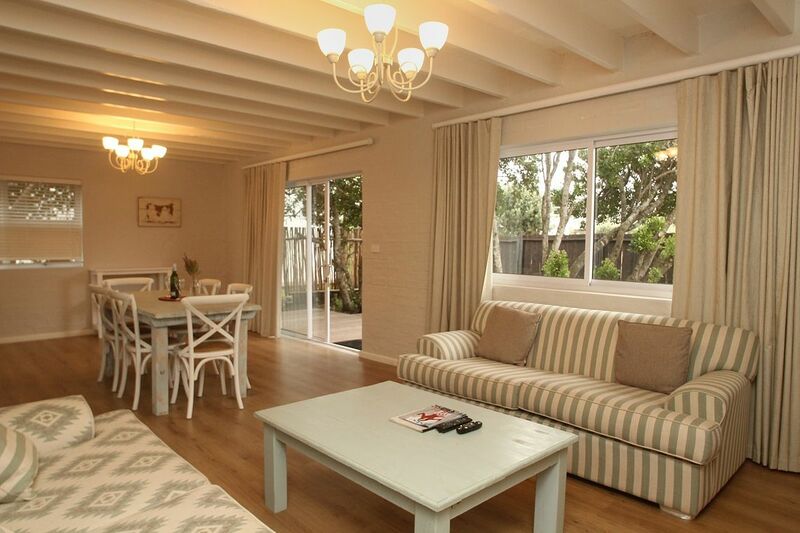 The cottages are comfortably equipped in a beach cottage decor and have a fully equipped kitchen for self-catering as well as a limited DSTV bouquet and a braai area. Cottages in Village Break are serviced daily. Represents affordable but comfortable 3 Star accommodation. It consists of a number of one or two-roomed apartments situated around a swimmimg pool. Situated within the Cape St Francis Resort you will find 5 semi detached chalets built in the traditional Cape Dutch stlye with white walls and a thatched roof. All in all there are 10 rooms of which 5 are double rooms and the remainder being twin rooms.Our Backpacker rooms have a small but adequate kitchenette which allows for self catering and offering a standalone small oven and plates as well as a small bar fridge.Cuttlery and crockery is also supplied. A bed and breakfast option breakfast is served either on the front lawn overlooking the sea or in the villa if the weather is unsuitable. This is a great time to meet the other guests. Cape St Francis is suitable for either the beginner or the dedicated surfer and Jeffresybay is only 20 minutes away.We offer lessons and equipment hire on site. We'll recommend you to surf school or surf shops for boards renting. Windsurfing as well as kite surfing take place all along the coast or in the estuary of the Krom River. The East coast of South Africa, near Durban has a tropical influence, on the edge of Mozambique and the animal reservations of Kwazulu Natal. The water temperature does not go below 20°C in July and goes around 27°C in January. This is a legendary country for the sharks’ ferociousness – be careful but not paranoid…avoid surfing in isolated zones during the migration period of sardines (July), during rainfalls and river’s mouths in late evenings…Beware of sharp mussels covering the reefs and of Kelp, heavy and floating seaweed wreaths, sometimes big like buoys! Except that, surfing is excellent everywhere else ! Not too many people in the water except in J-Bay, especially when this world-class wave is in good shape…a region where surfing is at a high level and where you need to respect the law of the spots like anywhere else. Leftovers : at the entrance of the Bay – Need a great Southern swell. A nice and long right. Van Staden’s Mouth : a cool beachbreak, on the way to Port Elisabeth, towards the East. Wear a 4/3 or 3/2 mm wetsuit for Cape Town and J-Bay from May to September. A springsuit and spandex suit for Durban at the same period. From October to April, always wear a 3/2 mm for Cape Town and J-Bay (maybe a springsuit in January in J-Bay). Boardshort and spandex for Durban. Boots for cold water and rocks. A hood if you are ready to charge the Antarctic swells in August near Crayfish Factory in the surroundings of Cape (you will see that the South African surfer likes the villous swell). It is said that South Africa was discovered by Portuguese Bartolomeo Dia (Mossel Bay, 1487). The Sans, the Khois, and later the Bantus lived there a long time before he came though ! The colonization by the Dutch Afrikaners (Boers) and the British leads to unceasing confrontations until 1909 when the victorious British gather the whole territory under the banner of Union of South Africa. The Afrikaners however grapple with political power conquest and implement the apartheid by vote, in 1943. On April 27, 1996, the great Nelson Mandela is elected President. If the apartheid regime is abolished in 1991, the ANC (African National Congress, Mandela’s party) is appointed in power and creates the hope of a true improvement for the black people’s condition. South Africa shares borders with Namibia in the West, Botswana, Zimbabwe and Mozambique in the Northeast. In other way, two independent states, Lesotho and Swaziland are completely geographically surrounded by South Africa. South Africa is spreading out nearly 2 000 km from North to South (from the Limpopo river to Cape Agulhas) and about 1 500 kms East to West (from Port Nolloth to Durban). It can be divided in three large regions: the Highveld (an inside vast plateau), the Bushveld (the three coastal plains) and the Kalahari basin. In the Eastern part of the country, the separation between the high and bushveld is marked by impressive spurs such as the Drakensberg Mountains. for the French nationals, passport is compulsory and has to be valid at least 6 months beyond your return to France. It also must involve two blank pages in succession (left and right pages). The entry in the country is done by Cape Town for the South trips and Durban for the East coast. To go to J Bay, you have to arrive at Port Elisabeth. no specific vaccine is required. The treatment against malaria is strongly recommended if you plan on visiting the animal reservations. 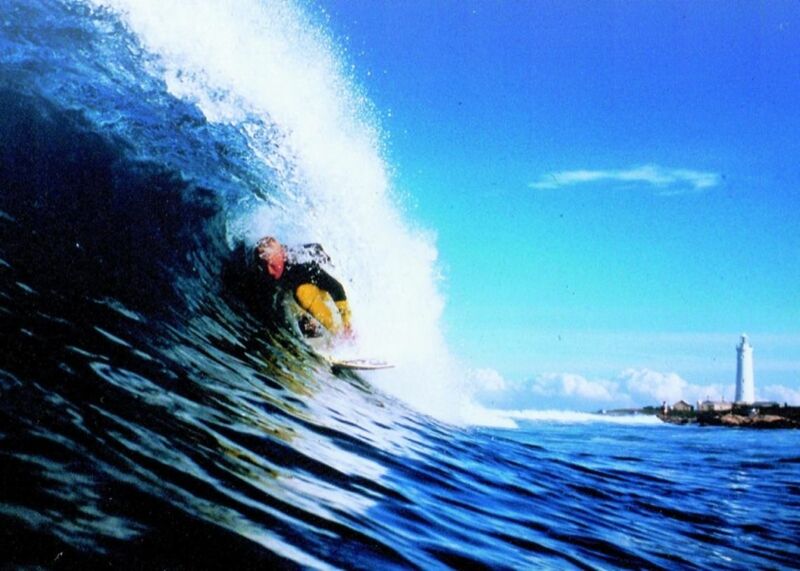 In April and May, it is the fall season, intermediate and very pleasant, cool for surfing.From June to August, it is winter, serious season for waves, with a small temperature decrease especially during the night. Durban keeps 19° to 24°C, sometimes thunderstorms and a little windy. Cape Town: 15° to 20°C, more humid. Johannesburg: 13° to 18°C, chilly. In September and October, a temperature increase, last rains on Cape Town, the austral spring is on its way. The water temperatures distinguish several changes: Cape Town and the Atlantic Ocean go between 13° and 17°C on average. J-Bay goes through the same but can rise up to 19°C in January. Durban, on the side Indian Ocean’s side does not go under 20° in July and rise to 27°C in December-January. the Rand (ZAR) that can be divided in 100 cents. 1 Rand = about 0.16 euro. Common credit cards – Visa, MasterCard, and American Express – are accepted. South African life is cheap. The food is excellent (delicious red meat…). 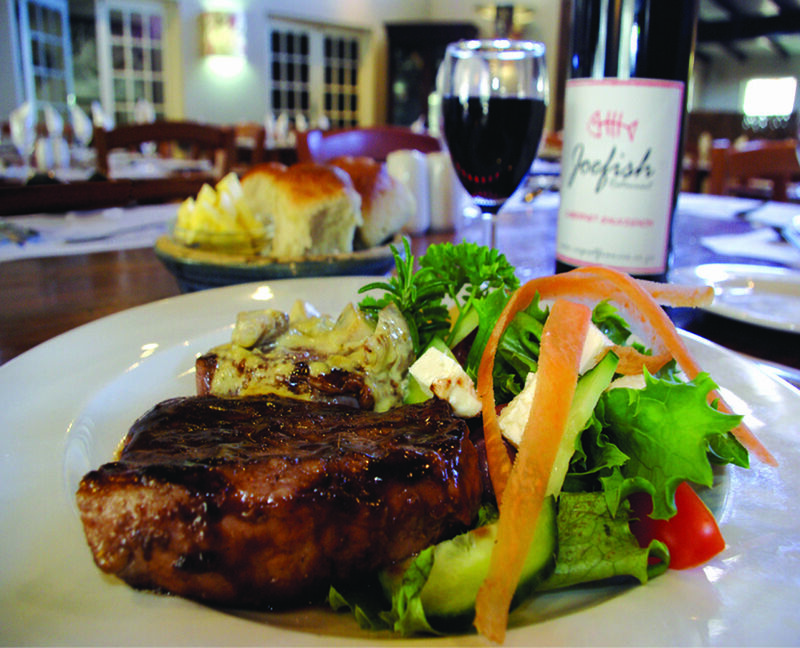 Try the Braii (local barbecue roasted meat very appreciated by the South Africans on the beaches). You can find everything just like in Europe. Do not travel constantly with your money and your identification papers but rather with copies of the first pages of your passport. Never go to the townships without anyone knowing the surroundings.Avoid Johannesburg, there is nothing to see and it is not safe. In Cape Town and Durban, if you do not walk around in the dark streets at night, if you do not spread your opulence, if you are quiet and nice, you should be okay, even safer than in the world’s biggest cities at night. In the countryside, there is no danger ! Black South Africans are cool and friendly. The problems are not about racism but because of the poverty in contrast with the astonishing wealth of the White South Africans. 46 one and two roomed apartments situated around a communal exclusive use swimming pool and close to the Resort facilities such as the Resturant and Bar, Convenience shoo and Health and Beauty Studio. A mere 6 minute walk to the beach. Family styled cottages varying in size from two to four bedrooms with most bed rooms en suite.Settung is parklike with lovely trees and indigenous vegetation. 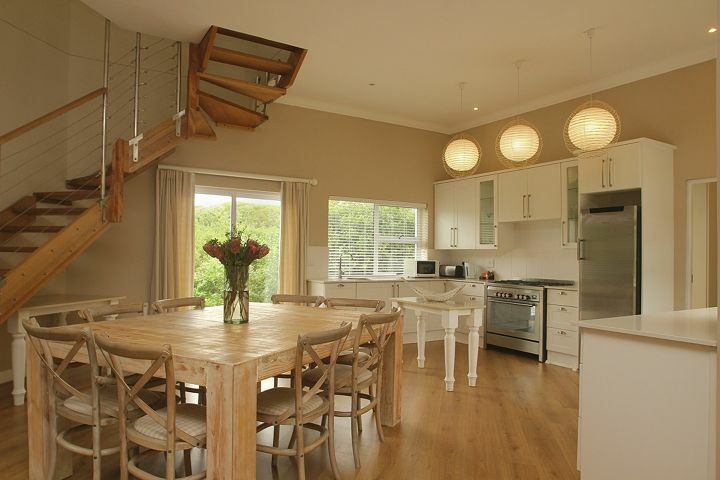 Very well appointed kitchen so ideal for self catering. 5 Luxury villas set on the edge of the dunes with breathtaking views of the ocean.All villas are fully equipped for self catering but meals can be arranged. Each villa has adequate under cover parking, swimming pool and most have a private and direct beach access. Enjoy a sea facing or standard room with breakfast included. Reviews on "CAP ST FRANCIS RESORT"